Check out the video and/or read the interview below. 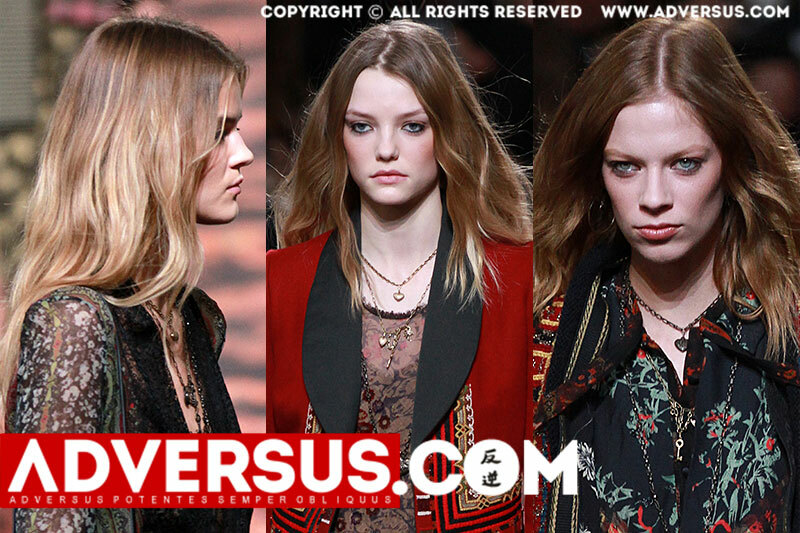 What about the hair look for the Etro Fall Winter 2016 2017 Fashion Show like? We are doing this really pretty nineties inspired look today. It has a touch of grunge to it but not a dirty grunge. It is a very clean-hair pretty grunge. Today we are using the TIGI Bed Head Superstar Queen For A Day, a spray mousse we are just putting in the hair to give it a little bit more body and a beautiful texture. How to copy the look at home? It is super easy. You put the product in. We are blow drying the hair smooth first and then we are using a curler. We are doing just very easy S-shapes waves just to give a slight bend to the hair so it has a little bit of life. Do you see any hair colour trends here? Right now the biggest trend is individuality, so we see all kinds of things. It is very hard for beauty editors or someone who is trying to focus on trends right now. With the way the shows are right now – they have pre-fall, they have resort and all this different seasons – it all blends together, the trends start mashing together.